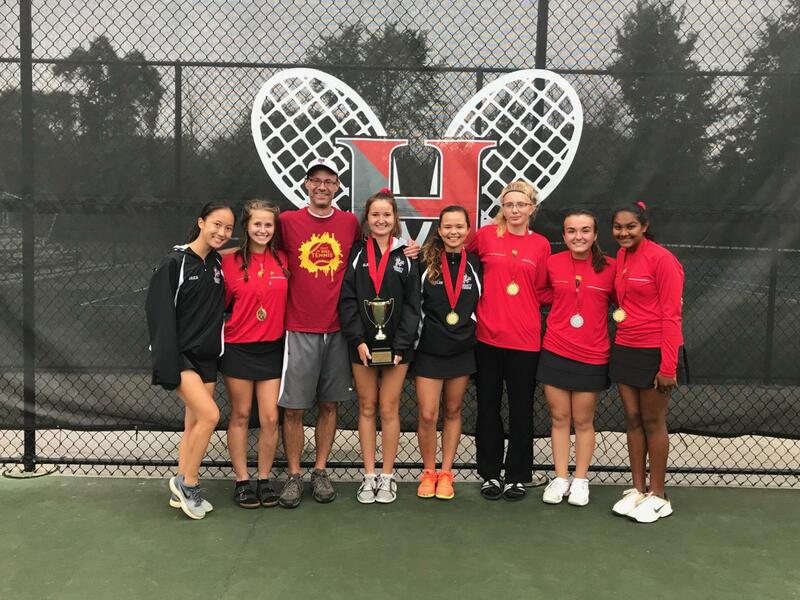 The Brecksville-Broadview Heights Girls Varsity Tennis Team notched a big win over the weekend, becoming Champions of the coveted Hawken Tennis Tournament. Helping to earn the overall team victory were a number of fine individual performances, including three first place finishers, one second place finisher and one fourth place finisher. The girls’ team play was characterized as tenacious, spirited and highly competitive. The Hawken tournament draws some of the top tennis teams in all of Northeast Ohio, making this victory extra special for the Lady Bees Tennis Team. Congratulations to the Brecksville-Broadview Heights Girls Varsity Tennis Team and the coaching staff for finely representing our District and for this great accomplishment!